Once again I didn’t go to track because I wanted to do Tuesday’s session justice (also I was at work until too late to get there and it was horrendously windy). Thus I found myself on an extremely stony and windy prom in the dark with my fellow insaniacs (and a small film crew from the British Heart Foundation). Tom had changed the usual 1 mile route into a shorter back and forth to break up the major headwind, try and avoid the stoniest sections and give the film crew more opportunity to capture us zipping by. Due to the stoniness there was only a thin strip of runnable prom which made it interesting once the group had spread out with the four-straights route. One needed to keep ones eyes open to avoid crashes (lampposts were also seemingly leaping out unexpectedly too). The wind and my tendency to have my eyes shut when working hard made this somewhat fraught. Yet I live! Anyway I was pleased to record the following times for the mile (actually around 5 seconds or so over a mile from all the Garmin beepings): 6.33, 6.34, 6.33, 6.39, 6.46, 6.46. Approx 2.5 minutes recovery. The wind picked up on the last few reps (or that’s what we’re telling ourselves anyway). 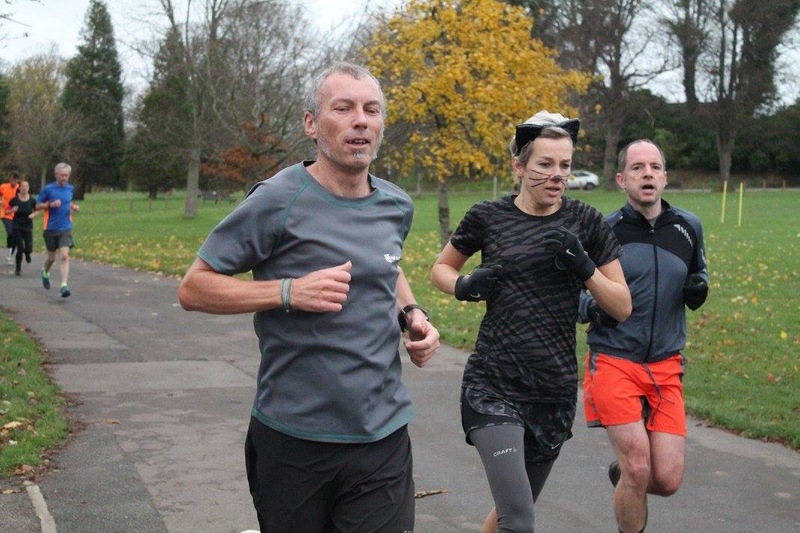 I was pleased with these reps given the underfoot conditions and the quite horrid headwind. 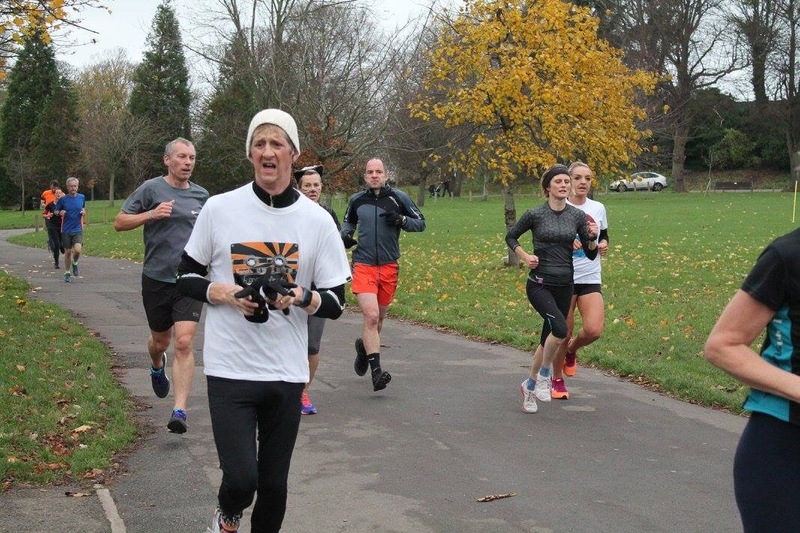 Turns out we were “too fit” to appear in the BHF video but luckily they’d brought their own ringer to run past the camera a few times. On Wednesday it was off out for the usual LSR. I was somewhat broken from Tuesday but managed it with the help of my trusty running companion. It was probably windy but I’ve forgotten already. Anyway 11 in the bag. As I didn’t do anything on Thursday I felt I should on Friday. 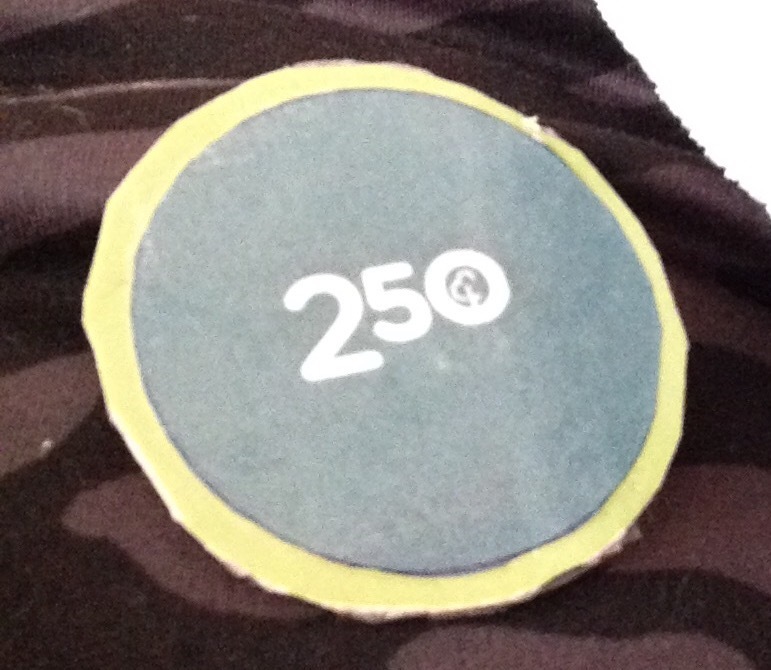 I discovered however that I was feeling feeble and only managed a slow and knackering 3 miles. Nice weather for once though. Sunny and not windy. 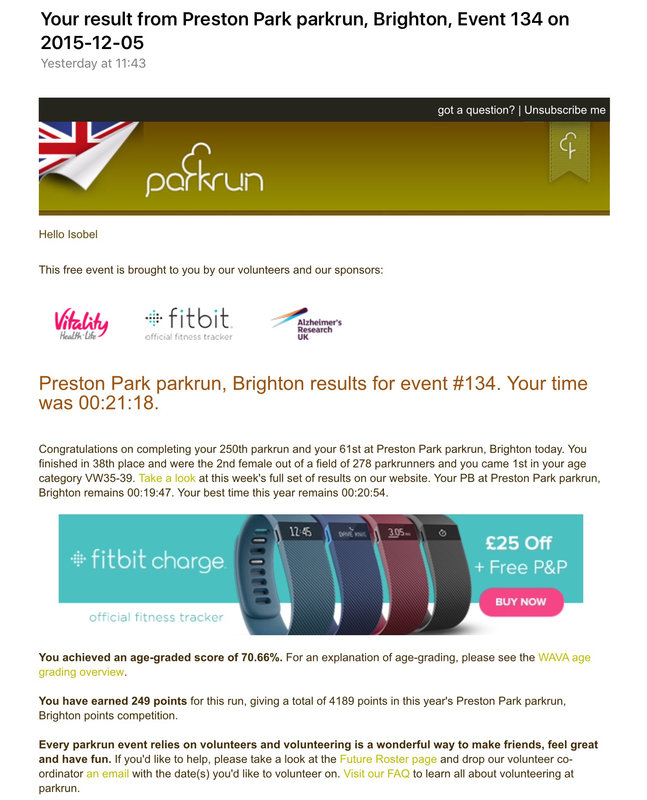 The prom was still stony as heck, cementing the wisdom of having decided earlier in the week to move my 250th parkrun to Preston Park. 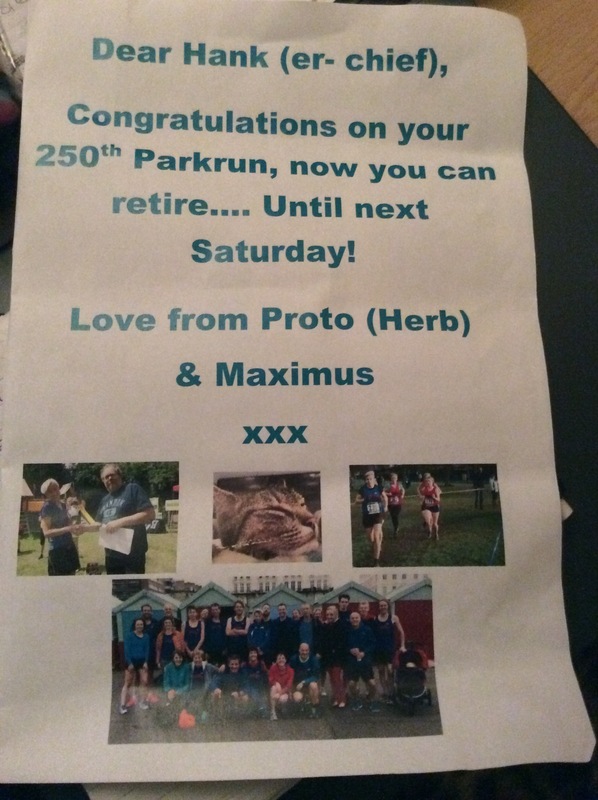 So finally, after 8 years, it was time to do my 250th parkrun. I should really have done it at Hove Park as that’s where it all started but I couldn’t face the crowding and my road rage. Prom was too stoned and windy so Preston Park it was. I had decided to dress as a cat for the occasion and Rob presented me with a beautiful hand-crafted 250 badge so I was ready for action. I didn’t have a plan as to how I wanted to run so when Tara said she was going to do a progression run as she had cross country in the afternoon I thought why the heck not and asked if I could join her. Rob had too after his success following her the last time she did this. Emily joined us too so we had a small but perfectly formed Arena posse. After a while we spotted some girls ahead and Tara decided that I should try and be first lady what with it being my 250 and all. It took a bit of convincing to get them to believe there was another girl ahead of the girl ahead but once she had been spotted by all Tara began moving in for the kill. The lead girl put up more of a fight than I expected (I based her on Isobel fight levels aka not much not often). I was closing in on her with the expert help of my team but I didn’t manage to get past her until the last 20 metres or so. Yikes! It was a close call but I was victorious. Tara rolled home easily in second and Emily bowed out gracefully without crossing the line. Rob allowed me to beat him like the gentleman he is. This was a new way of running for me. The progressive nature as well as the helpful crew of team runners. We were pleased with our efforts so adjourned to the cafe for celebratory teas all round. A glass of milk perhaps? A slight dampener when the result email came through saying I was second with a phantom lady one second ahead but we knew I was first. 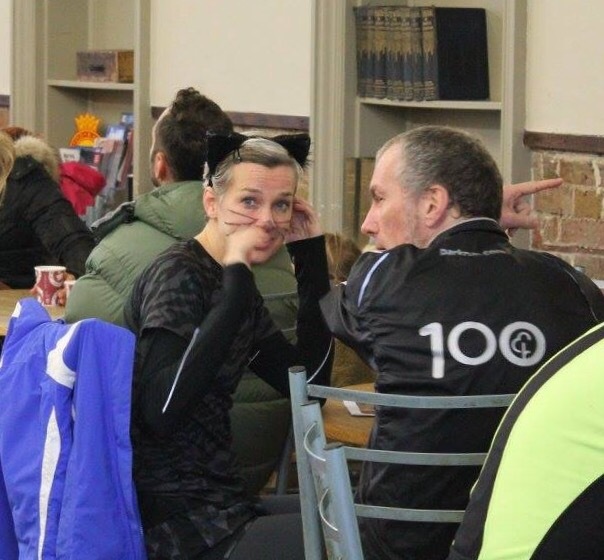 Anyway massive thanks to Tara, Emily and Rob for sacrificing their own runs so we could run as a team and helping me secure first lady status on this special run. We know the truth! 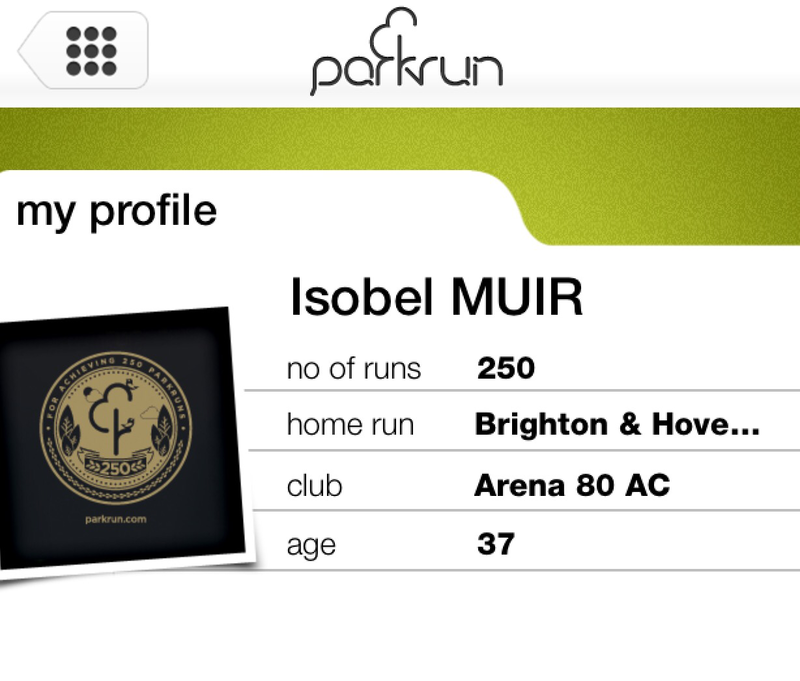 34 miles for the week (and almost 800 miles of parkrun over the last 8 years). Soon I’ll just be dressed as a cat all the time.